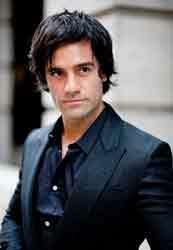 Ramin Karimloo played Jean Valjean for a limited period in the West End production of Les Miserables, and is now due to play the role again in September in the Mirvish Canadian production opening their 2013-2014 season. Ramin comes from Toronto and saw Colm Wilkinson play Valjean there in the 1980s. He has never done a show on his home turf and was scheduled to make his debut as Bobby in the Theatre 20 production of Company this month, but the show was postponed and his commitments meant that he could no longer appear in the show. This special production is in celebration of The Mirvish family's 50 years of producing and presenting theatre in Toronto. It will include the revisions that Cameron Mackintosh and made for the show’s 25th anniversary tour. Dates are still to be confirmed but previews are expected to begin September 26th and opening night is scheduled for October 9th. The show is is expected to run at least through to February 2014.